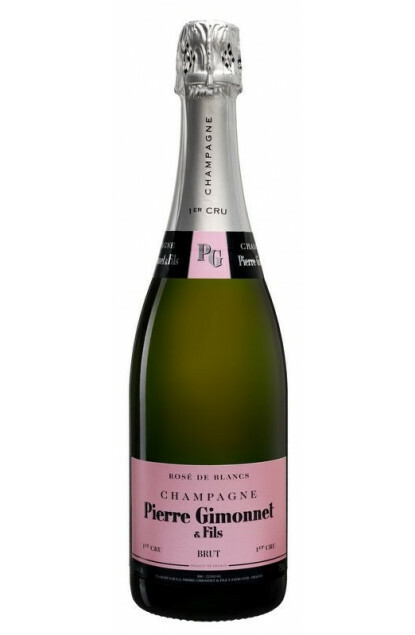 A rosé from the Pierre Gimonnet style : Chardonnay. This Champagne is a blend elaborated exclusively from Chardonnay from plots classified Premier Cru and Grand Cru, created with a minimal addition (6%) of Grand Cru Bouzy Pinot Noir. A relatively confidential production : around 15.000 bottles depending on the year. The colour is a very pale pink, but very crystal-clear and pure. To the nose and mouth, the attack is both citrus from Chardonnay and small red fruits from Pinot Noir. The liveliness and airy notes slowly give place to creamy notes with an elegant finish, finely mineral with touches of tangerine. A pleasant champagne for your guest’s enjoyment as an aperitif or with dinner, mainly with seafood and a finish of sabayon or red fruits. To be served between 8 and 10°C.